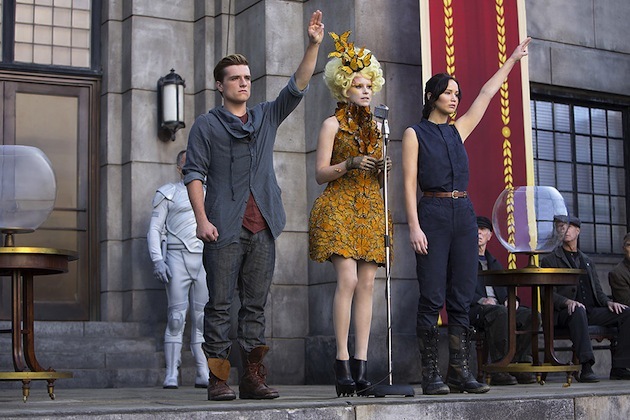 Since Lionsgate refuses to understand what The Hunger Games series is actually about, their CEO is considering turning the franchise into a theme park. Because the Subway tie-in wasn’t enough? On a recent conference call he revealed that he has been getting several offers to turn the dystopic series into a park where we imagine they lock everyone into a room and force them to fight to the death until one remains the victor. Or something. Starting next year we’ll have a brand new Ms. Marvel! 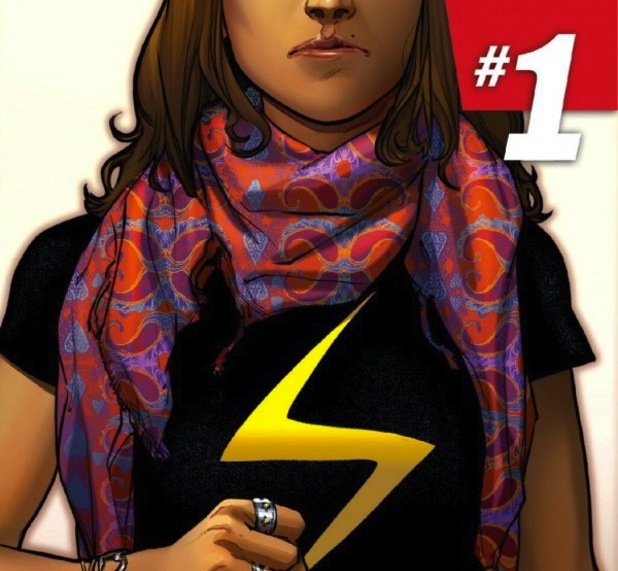 The mantle will be taken up by Kamala Khan, a Pakistani-America girl from Jersey City, New Jersey who idolizes Carol Danvers, the former Ms. Marvel who has dropped the name to take up the title of Captain Marvel. Khan eventually realizes she can shape-shift and takes up the moniker as a homage to her hero, all while exploring “how familial and religious edicts mesh with super-heroics.” Not that Stephen Colbert is cool with that. 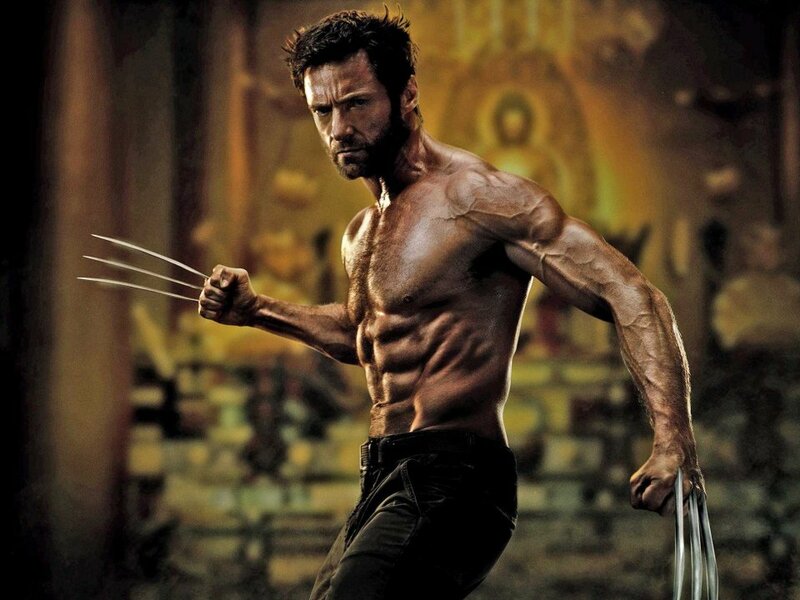 While the new Wolverine film (set after The Last Stand, aka the movie that must not be named) wasn’t all that great, it apparently made enough money for the film’s creator to start work on another installment of the franchise. As of right now the details are being kept super hush hush, but it can’t be anymore ridiculous than a fight on top of a high-speed train or a superhero who is super strong and super fast but can’t seem to avoid being shot on a regular basis. But as long as he’s shirtless most of the time we guess it’s okay. 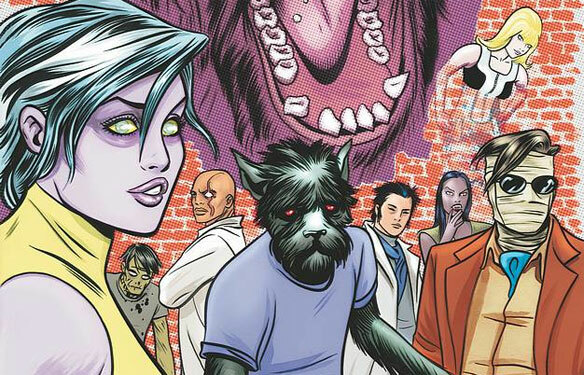 Expanding their original programming, Netflix (in conjunction with the Disney-owned Marvel) is working on four brand new superhero shows and one mini-series. 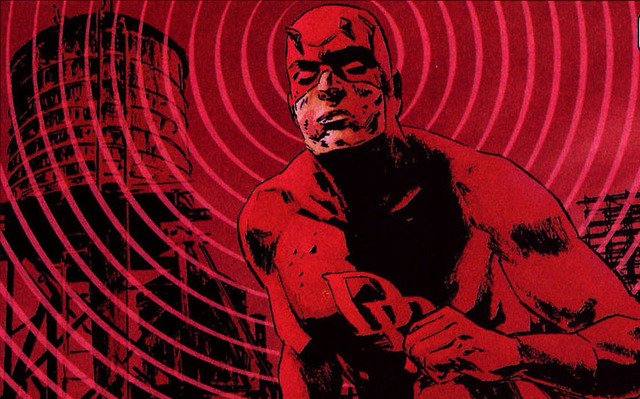 The serialized programs will follow Daredevil, Jessica Jones, Iron First and Luke Cage, leading up to the mini-series “The Defenders” that “reimagines a dream team of self-sacrificing, heroic characters.” The four series are committed to have 13 episodes each. 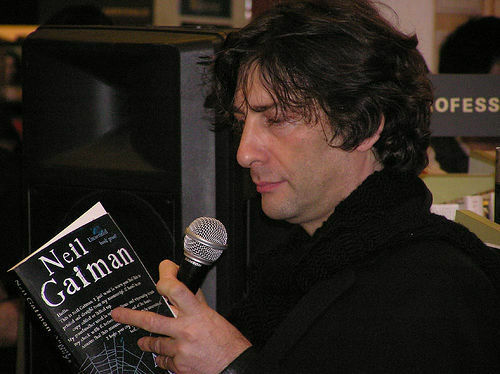 The BBC has been releasing one eBook a month centered around each Doctor on “Doctor Who” to lead up to their 50th anniversary special “The Day of the Doctor.” And blessedly two-time screenwriter Neil Gaiman will be penning the final eBook centered around Eleven. The short, entitled Nothing O’Clock, will follow Eleven and a pre-married Amy Pond as they meet a brand-new terrifying villain (“or possibly bunch of villains”) called the Kin. 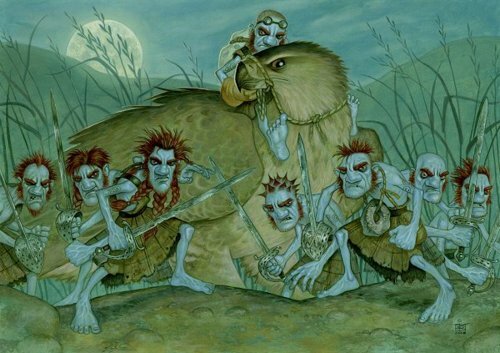 Since there aren’t enough adaptations of the works of Terry Pratchett, his daughter Rhianna (who he wants to continue the Discworld series when he no longer can) will be turning his spin-off series Wee Free Men into a movie. The story follows junior witch Tiffany Aching and her friendship with the Nac Mac Feegle, aka what would happen if William Wallace bred with some Smurfs. You can check out an artist interpretation of what these “pictsies” look like above. If you like MMORPGs but wish they dealt with your desire to live in Regency Era England, wish no more because the Kickstarter project “Ever, Jane” is here to make all your hopes and dreams come true! Pick your personality traits, attend balls and dinner parties, play mini-games, and go on quests! You can play a full prototype of the game over on their Kickstarter. 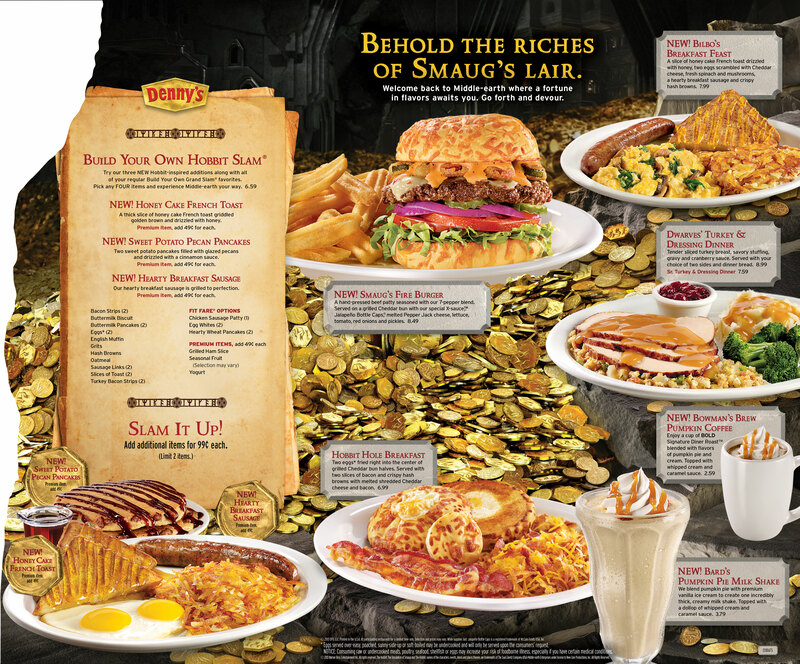 Last year a Hobbit-themed menu came to Denny’s and this year it’s back with some Desolation of Smaug themed food. Again, thanks a lot, now we have to eat at Denny’s. In addition to some of last year’s menu items, the new offerings include Honey Cake French Toast, Sweet Potato Pecan Pancakes, Bilbo’s Breakfast Feast, Smaug’s Fire Burger, Bowman’s Brew Pumpkin Coffee and Bard’s Pumpkin Pie Milk shake. Well, we’re definitely not gonna complain that pumpkin items have extended their normal shelf-life.